I do not know of anyone who does not know this verse. Maybe it is the only one people can quote from memory, almost correctly. It really is the Gospel in miniature. “God so loved the world…” (yes, God’s nature is to love; He just cannot help it) ” …that he gave his only Son…” (Jesus is a gift to us from our Loving God) “…so that everyone who believes in him might not perish but have eternal life.” God’s only desire is for you and I, and the rest of the world, to spend eternity with him. How can we make our corner of the world a better place. How can we take the talents God gave us, build on them, and use them for God’s glory? On Thursday, June 16th, I attended a Reviewal for a friend, Mark Jensen. Maybe I should say an acquaintance, because I met with Mark maybe six times in his life. But, I guess that speaks to Mark Jensen. You see when you met him, it seemed like you knew him all his life. Mark was born in Estherville, Iowa and later attended the University of Minnesota. After a stint in the Army, he received his degree in Agricultural Education. he taught for awhile, farmed for awhile, and was a Regional Sales Manager for Genex/CRI. He also did a short stint as a Mortgage Officer with Wells Fargo and JRA Financial Advisors. He and his wife Terry were active in their Lutheran Church in Annandale, and raised two daughters, Ann Joos, and Billie Jo Van Lith. Mark had an uneasy feeling about life in the early 2000’s and he prayed, met with his Pastor, and talked with his daughter, Billie who happened to work in the same office with him at the time. Mark began weeping. “I strongly believe God is calling me to Mission work, and I believe that Mission work is in Africa. I am scared to death that your mother will not want to go with me, and will not want me to go. What would I ever do if it came to choosing between your mom and God?” Not to worry, Terry did not want to go. But, Terry was also a strong Christian woman and as she prayed for God’s guidance, she began to see the calling was for both of them. What a couple they made. In 2002 he made his first trip to Belize. In 2003 he and Terry, having become registered volunteer ELCA Missionaries, began one of his first of many trips to Tanzania. There he met a Catholic Priest by the name of Fr. Augustine Mbiche. He helped Fr. Augustine found the Matamba Children’s Orphanage, where Fr. Augustine was the Director of the School. This is how I met Mark. I first had lunch with him and Fr. Mbiche and I was so touched that I wanted to help Fr. Mbiche raise money for the orphanage and school. We have had a wonderful relationship since that lunch, and Fr. Mbiche tries to come once each year to fund raise in the United States. One of Mark’s happiest and proudest accomplishments was the fact that he is the Founding Director of the Institute of Agriculture of Tumaini University in Iringa, Tanzania. The Institute’s mission is dedicated to sharing the love of Christ while teaching improved farming practices to the people of Tanzania. He was successful at both. When Mark started teaching the people to raise corn, their yield was 17 bushels per acre. 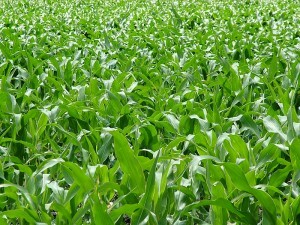 The last year Mark was there, the yield had grown to 120 bushels per acre. His farming and agriculture training had made a difference in the daily lives of these people. These works were accomplished even though, as they were preparing to leave for Belize, he was diagnosed with Colon Cancer. To Mark, that was as much an impediment as rained out roads in Belize or Tanzania. He simply rotated his time between his work in the African agriculture fields, and getting his cancer treatments in America. No wonder the people of Tanzania named him, “Babu Mzee,” “Old Grandpa.” They were correct, Mark and Terry have six grandchildren. Through the work of Mark and Terry, the people of Tanzania have been enriched by the love of God, and the “feeding of the poor,’ with crop yields. They helped feed them materially, and they fed them spiritually. The people of Annandale, Minnesota, where they lived, were also enriched by the love shown by Mark and Terry: they were enriched by the example of Christian marriage, by the raising of Christian daughters, and encouraging the people of their church to reach out to the people of Tanzania both in visiting and in financial support. Thursday night, I heard Ann stand up and tell the audience, “Mark was my second father. My first father, of course is God Almighty. But I’m really glad he gave me Mark as my second dad.” You know he and Terry raised their children with proper priorities. “Finally, brothers, rejoice. Mend your ways, encourage one another, agree with one another, live in peace, and the God of love and peace will be with you. Greet one another with a holy kiss. All the holy ones greet you. The grace of the Lord Jesus Christ and the love of God and the fellowship of the holy Spirit be with all of you” 2 Corinthians 13:11-13.